Nest Thermostat Reviews: The Best Wi-Fi Thermostat? The Nest Learning Thermostat is one of the top-rated, positively reviewed, and most recommended Wi-Fi thermostats on the market, and we think it deserves to be. The Nest Thermostat uses advanced learning algorithms to save on energy costs and make your home’s heating and cooling systems more efficient. The Learning Thermostat can be monitored through the Nest app, and it’s designed to work easily with other security and home automation products. For anyone looking to make their home more energy efficient or build a DIY home automation system, we recommend looking into the Nest Learning Thermostat; read on to find out why. The Nest Thermostat is a lot like other Wi-Fi thermostats in that you can control it from your smartphone. But the Nest goes a step beyond the competition. Because the Nest is a learning thermostat, it gathers data about your schedule—when you turn down the heat as you go to bed, when you turn it up in the morning, when you’re home or away—and then after a week or so, it adjusts the temperature automatically to save you time, energy, and money. You can still make manual adjustments as needed, but you don’t need to worry about turning down the air conditioning before leaving for work or coming home to a hot house at the end of the day. This feature, along with the thermostat’s other high-tech features, not only make it more convenient to use, but also save you money on heating and cooling costs. One feature the Nest Thermostat lacks compared to other Wi-Fi thermostats is remote sensors, which you can put in other rooms of the house to get more accurate temperature readings. You can bypass this issue by installing multiple Nest Thermostats, and they will work together, but that can become quite pricey. For average-size homes, one Nest Thermostat should be sufficient. The third-generation Nest Thermostat differs from previous Nest models in a couple of small but positive ways. First, it has a larger screen with a higher resolution, which users report makes the display easier to read, especially from a distance. It is also slightly slimmer so it doesn’t stand out from the wall quite as far, creating a more subtle profile. Finally, the third-generation thermostat supports dual-band routers. That means the thermostat can connect to either 2.4GHz band Wi-Fi, giving you a wider operating range but slower speeds, or 5GHz band Wi-Fi, which works in a smaller range but gives you faster speeds. The third-generation model also has Farsight and Furnace Heads-Up features, which are discussed below. Overall, the third-generation model is the best version of the Nest Thermostat yet, though if you already have a second-generation model and it works well for you, you probably don’t need to upgrade. 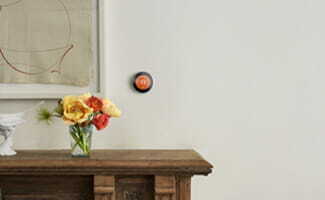 The Nest Thermostat has a range of features that make it energy efficient and convenient to use. Most of these features are already activated when you get the thermostat but can be turned off or adjusted. Auto-Schedule cues the Nest Thermostat to collect information about your schedule and program itself. It takes all manual adjustments into account, so avoid adjusting the temperature for a short period of time unless you want those changes to become part of the thermostat’s daily routine. Time to Temperature calculates and displays how long it will take to reach the desired temperature after a manual adjustment. This helps you choose temperature settings that use less energy. For example, if you turn the heat up to 74 degrees but see that it will take an hour to reach that temperature, you can set it to 72 degrees instead so the heater needs to run for only 20 minutes. Early-On takes into account how long it will take to reach the set temperature using the Time to Temperature calculations and turns the HVAC system on early to reach that temperature by the scheduled time. Home/Away Assist uses a combination of motion detection (on any Nest product in the home) and smartphone location to determine if the house is empty. If it detects no activity, the thermostat automatically adjusts the HVAC system to preset Eco Temperatures to save energy. Family Accounts allows you to share access to your Nest products with up to nine other people and makes the Home/Away Assist feature more reliable. Once other family members download the Nest app to their smartphones, the Nest Thermostat has a more accurate picture of when people are at home or away. Keep in mind, though, that anyone with access can also remotely control the temperature, receive alerts, and change account settings, so be wise about who you add. Airwave works with air conditioning systems to lower costs by turning off the compressor (which generates cold air) a few minutes before the target temperature is reached and only running the fan, thereby circulating the cold air already in the system. Farsight is a new feature of the third-generation model. It turns on the thermostat display when it detects motion from up to 20 feet away. Users can choose to turn this feature off or customize what appears on the display, such as the weather, the time, or the current temperature in the home. When someone is within three feet of the thermostat, the display will change based on your settings. Furnace Heads-Up lets you know if the Nest Thermostat detects any power interruptions to your furnace that could indicate a problem with the system. You’ll receive an alert on the thermostat screen, in your Nest app, and in the monthly Nest Home Report. Installation of the Nest Learning Thermostat is easy and straightforward for most HVAC systems. Many users reported that it took them only about 30 minutes to complete the process. If you feel uncomfortable installing the thermostat yourself or if your particular HVAC system makes the process more complicated, you can find a Nest Pro to install your thermostat—expect to pay between $99 and $250 for the installation. Be sure to check that your HVAC system is compatible with the Nest Thermostat before installation. The Nest Thermostat can be used with low-voltage HVAC systems (20V to 30V) but not high-voltage ones (120V or 240V). Many thermostats require a common wire, or “C wire,” for power; however, the Nest Thermostat is designed to use the heating and cooling wires to charge its battery in cases where a C wire isn’t available. For some systems, though, this may be insufficient, and you’ll need to have an electrician install a C wire. The majority of negative reviews come from users who purchased the Nest and then discovered it was not compatible with their system, so do not skip this step. 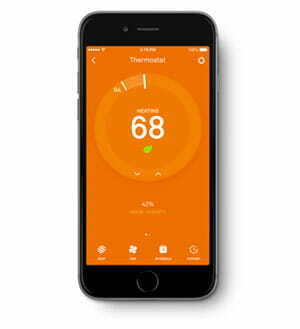 One of the draws of the Nest Thermostat is that it can be remotely controlled and monitored through the Nest app (available for iOS and Android). With a Nest account, you can also check your energy usage history for the past 10 days and see insights into why more energy was used at certain times. Every month, you’ll receive a Home Report for all of your Nest products, letting you review all the activity recorded by all Nest products in your home. 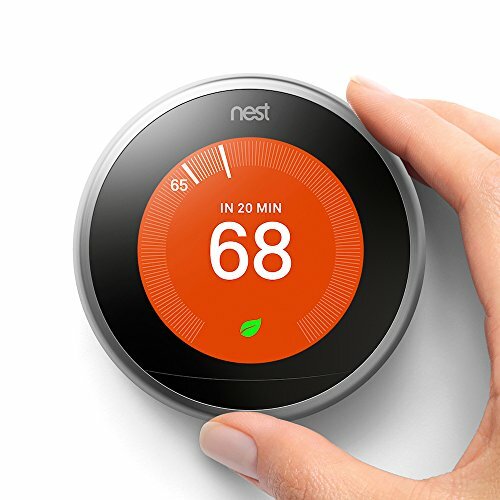 The Nest Thermostat and other Nest products are compatible with quite a few home automation products and brands, including Amazon Echo and Google Home, as well as smart lightbulbs, switches, and door locks. Additionally, Nest has its own If This Then That (IFTTT) channel that allows you to create automatic programs and events for your products. For example, you could set up a program so that when the Nest Thermostat detects that you are coming home, the smart lightbulbs would turn on and the smart door lock would unlock. Or another example is that when the Nest Thermostat turns on in the morning, the switch the coffee machine is plugged into turns on as well, so you wake up to a warm house and ready coffee. If you’re looking for more than just home automation, the thermostat is also compatible with several of our top ten home security systems, including Vivint, SimpliSafe, and Scout Alarm. The one notable exception to the Nest Thermostat’s home automation compatibility is Apple HomeKit. Because it is very unlikely that this will ever change, those who already have Apple HomeKit installed should look for a different Wi-Fi thermostat for their home. The Nest Thermostat is priced at $249 and is available from Amazon. This price is higher than some (though not all) comparable Wi-Fi thermostats by anywhere from $50 to $100 dollars, but you get more features than you would with other thermostats, which we think justify the cost. Some energy companies offer discounts or rebates when you purchase a smart thermostat, so it’s worth checking with your company to see if you can get some of your money back. Every time we reach out to the Nest customer support for answers or clarification, the customer service representatives are knowledgeable and able to offer helpful information beyond what we ask for. It’s also easy to reach someone through Nest’s online chat and via phone, though there isn’t an email option listed on the website. We are also very impressed with the online resources and extensive FAQs for every Nest product and feature. Unsurprisingly, the majority of reviews for the Nest Learning Thermostat are enthusiastic and positive, and users often mention how fast the installation was and how well the product worked. The negative reviews focus mainly on the issue with powering the thermostat without a C wire or disappointment over having a system that ended up being incompatible with the Nest. 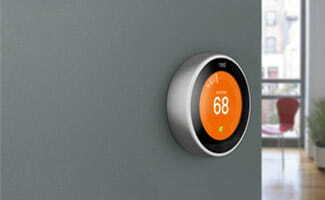 Overall, the Nest Thermostat is one of the best Wi-Fi thermostats on the market, if not the best. Its advanced learning algorithms and energy-efficient features make it convenient to use and can save you money on heating and cooling costs. The majority of users agree that it works as well as advertised and is worth the cost, and that installation is actually as easy as it seems. The main caveat is that the Nest will not work for all HVAC systems, and while it can be used without a C wire, you may run into problems later on. Other than that, there is very little to criticize about the Nest Thermostat but a lot to enjoy and appreciate.